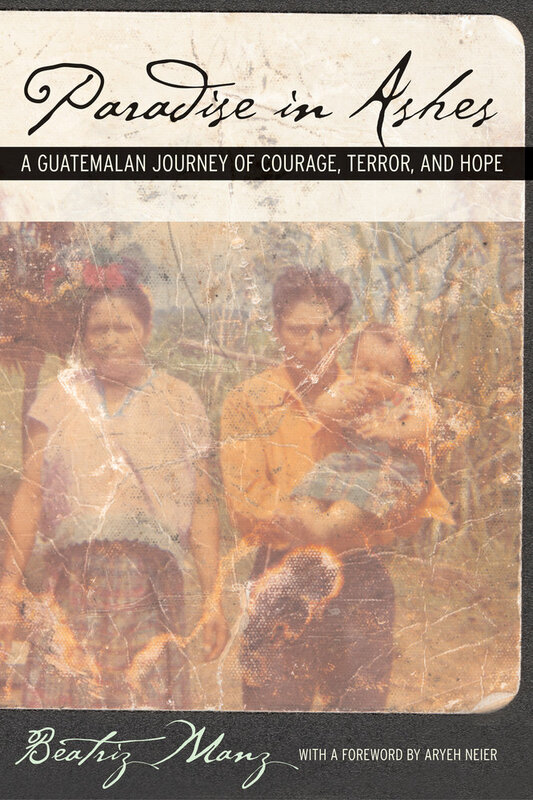 Paradise in Ashes is a deeply engaged and moving account of the violence and repression that defined the murderous Guatemalan civil war of the 1980s. In this compelling book, Beatriz Manz—an anthropologist who spent over two decades studying the Mayan highlands and remote rain forests of Guatemala—tells the story of the village of Santa María Tzejá, near the border with Mexico. Manz writes eloquently about Guatemala's tortured history and shows how the story of this village—its birth, destruction, and rebirth—embodies the forces and conflicts that define the country today. Drawing on interviews with peasants, community leaders, guerrillas, and paramilitary forces, Manz creates a richly detailed political portrait of Santa María Tzejá, where highland Maya peasants seeking land settled in the 1970s. Manz describes these villagers' plight as their isolated, lush, but deceptive paradise became one of the centers of the war convulsing the entire country. After their village was viciously sacked in 1982, desperate survivors fled into the surrounding rain forest and eventually to Mexico, and some even further, to the United States, while others stayed behind and fell into the military's hands. With great insight and compassion, Manz follows their flight and eventual return to Santa María Tzejá, where they sought to rebuild their village and their lives. Beatriz Manz, born in Chile, is Professor of Geography and Ethnic Studies at the University of California, Berkeley. She is the author of Refugees of a Hidden War: The Aftermath of Counterinsurgency in Guatemala (1988). "Manz captures one of the most tragic periods of Guatemalan history with truly extraordinary insight, intimacy and brilliance. Myrna Mack, her friend and colleague, was murdered by the military, but ultimately the epic story of these isolated areas could not be extinguished. This outstanding, courageous and committed anthropologist has given us a precious gift in these pages--a masterpiece that is sure to become a classic of this troubled time. "—Helen Mack Chang, President of the Myrna Mack Foundation and recipient of the 1992 Right Livelihood Award, also known as the "Alternative Nobel Peace Prize."